She won’t let me watch the T.V. I could go on and on with the number of complaints I hear on a daily basis from my children. They could be playing together nicely one minute and then the next thing you know they are knocking each other over to come tell me about some injustice they have experienced at the hands of their siblings. Unfortunately, tattling isn’t limited to the home. When I worked as a school social worker my Kindergarten friends were notorious for tattling! They might not remember why the teacher moved their behavior clip from yellow to red, but they remembered every infraction their classmates committed and were eager to let me know as well. So what’s all the tattling about, and more importantly, how can we get them to stop? 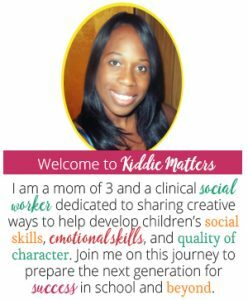 Before we can answer those questions, first we have to understand why kids tattle in the first place. They lack conflict resolution skills. Tattling is common among the four and five year old crowd. Many kids this age haven’t yet developed the skills necessary to solve problems on their own. According to child psychologist, Jean Piaget, kids in this age group are unable to take the perspective of other people. It’s kind of hard to work out conflicts when the only perspective you can understand is your own. Hence the tattling ensues and the kids seek out adults to solve their problems for them. They want everyone to follow the rules. By the time kids get to ages 7 and 8 they are better able to resolve conflicts on their own and now they tattle because at this stage in their lives everything is about following the rules. This age group falls into Piaget’s Concrete Operational Stage. During this stage kids are very rigid in their thinking and become the ultimate right-fighters. These kids know right from wrong and if they see someone breaking the rules, they feel obligated to tell on this person. It doesn’t matter if the rule is minor or major. If a rule has been broken these kids expect that consequences will be doled out…except of course if it’s them breaking the rules! They want to report a real problem. Most kids are caring and conscientious. When they see someone in trouble, their instinct is to help and usually this means telling an adult about what’s going on. This isn’t always a bad thing. There are some things that kids need to tell adults. For example, we want kids to let us know when they or someone else is in danger, hurt, or being bullied. This is why it’s important to not be too quick to dismiss kids when they want to tell you something. They want to get someone in trouble. Some kids can hold a grudge and if they believe someone wronged them in some way, they will not miss an opportunity to get the person who wronged them in trouble. The minute they see that person do something they shouldn’t they are running to the closest adult to snitch. Now that we have an understanding of why kids tattle, we can turn our attention to figuring out how to get them to stop tattling. 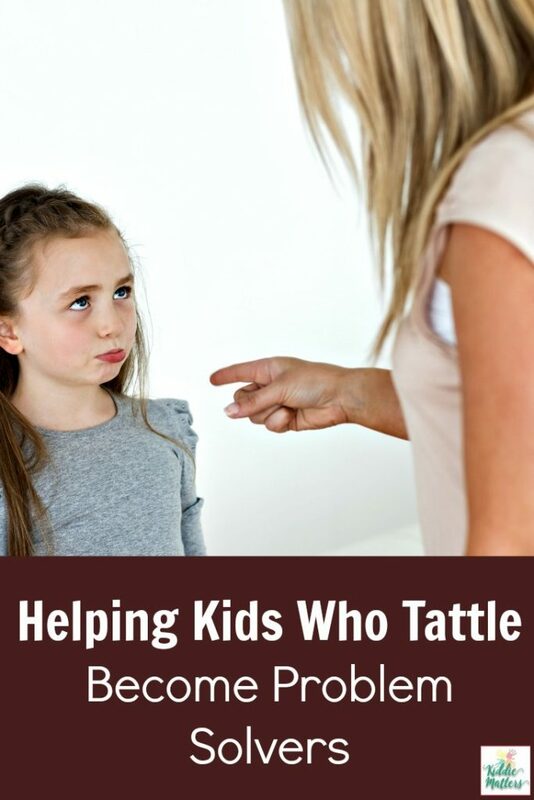 Here a few things you can do to manage kids who tattle. 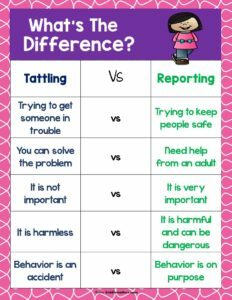 Teach them the difference between tattling and reporting. Explain to them that tattling is when you try to get someone in trouble and reporting is when you try to get someone out of trouble (i.e. getting hurt, bullied, etc.). Let them know that if they are trying to get someone in trouble then they don’t need to tell you what happened. However, if they need to stop someone from getting hurt, then they need to tell you what happened. Determine the motive behind the tattling. As mentioned earlier, kids tattle for a variety of reasons. If you can figure out why they are tattling, you can help them come up with more helpful ways to get their needs met. Are they tattling because they are attention seeking? Or are they not able to solve conflicts on their own? Are they just trying to get the person in trouble, or do they genuinely have a concern about someone getting hurt? Acknowledge kids when they tattle. It can get frustrating having to listen to constant trivial complaints from kids. However, although many experts suggest ignoring kids when they tattle, this can backfire and cause kids to engage in other negative behaviors to get your attention. Remember that tattling serves a purpose. Ignoring kids when they are trying to talk to you can make them feel powerless and frustrated. 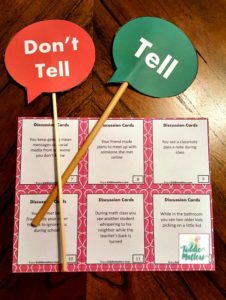 Consider making a tattle box where kids can write their tattles down and talk about them at a scheduled “Tattle Time.” Use this time to help kids figure out how they can solve kid-sized problems on their own. Explain to kids that rules will be broken. This is especially helpful for kids between ages 7 and 8. Their world is governed by rules which helps them learn how to behave and understand right from wrong. Rule breakers make these kids uneasy and they try to restore order by getting the rule breaker to follow the rules. However noble this might seem, kids need to understand that not everyone will follow the rules and no amount of tattling will change this. Explain to them that all they can do is make sure they follow the rules and only report rule breakers who put themselves and/or others at risk. Teach kids to be problem solvers. You can empower a child to solve problems on their own by coaching them on how to resolve conflicts when they are calm. When they come to you with a non-life threatening problem, ask them how they think they can work things out. You can brainstorm solutions with them if they get stuck. Explore the pros and cons of each possible solution and then have them choose the solution they think will work best for them. Even if the solution doesn’t work, going through this process allows kids to practice the important life skill of problem solving. 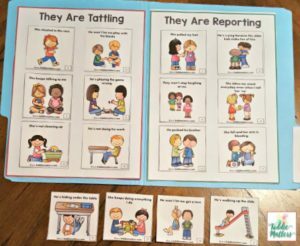 For additional resources on helping kids with tattling, visit my Teachers Pay Teachers Store! Loved this post, because one of my kids struggles with tattling. I like the idea of the term “reporting”. One of the toughest things to explain to kids is that rules WILL be broken, even if you’ve set those boundaries. I think the acknowledgement goes a long way in decreasing the amount of tattling, though. This is an excellent blog! Thank you for sharing this. I’ve been trying to figure out how to help my son with tattling. He’s definitely one that wants everybody to abide by the rules, but it’s hurt him socially at school. The other kids don’t like it. This is a great way to explain it to him so he knows he’s breaking the reporting rules if he tattles.